The Spain clear of Xosé Luís Barreiro is a plea for calm, but firm in their arguments, in defence of Spain’s re-thought from the european perspective and away from the “mindless” bet the pro-independence Catalan. Barreiro drink from the sources of the history and of the policy to explain that “the differences between what we are and what we say that we are” representing the obstacle to overcome to retrieve the values of ethical, political, and historical that give you the “strength and coherence to the common heritage” of our nation. And walk away, he said, of the “false legend” of Spain, always in contraposition to the modernity, to the europeanism and freedom. The political scientist and expolítico gallego proposes in Spain-obvious different solutions for specific problems. From new systems of regional finances “unexplored so far”, until a federalism “explicitly constitutional”. In any case, points out that the solution is in a more united Europe as only way that will address the challenges and problems with solvency. Xosé Luís Barreiro puts white-on-black gaps, current and past, of Spain, as a project, but which has experienced a consistent process in the measure of its possibilities and historical circumstances, whose fragmentation would be “illogical, irrational, and also, perhaps, impossible.” Perhaps, he adds, because the realities of Spain and Catalonia are always interlinked and complementary, but never contradictory. The author addresses, in a work that defines maturity, conflicts arising from our identity as a nation, to the crisis which questioned the model of State and, above all, of the questions on Europe that, in spite of everything, he says, has a strong future and inexorable. 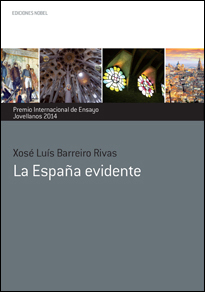 The book of Xosé Luis Barreiro has obtained the International Prize of Essay Jovellanos 2014. This award is intended to publicize proposals, original and profound reflections that will stimulate the opening of new roads in the permanent struggle of man to widen the horizons of your knowledge and find answers to the many problems and questions which move the contemporary society. I. The realization of the current problem of Spain. II. The high ambition forces you to fly under. III. What is substantive to what is functional: the vision of the State from the European Union. IV. The copernican revolution comes to the State. V. When the solution is the fact and the problem of fiction. VI. Before the State already had land, people and life. VII. When the strategy becomes a goal. VIII. The furniture in the common house. IX. The expressions of the constitution of the Spanish nation (1812-1978). A projection into the twenty-first century. X. The country that I want to do not need to… Bibliography. Xosé Luis Barreiro Rivas (Forcarei -Pontevedra, spain-, 1949) graduated in Philosophy at the Complutense University of Madrid, in which he also obtained the degrees of bachelor and doctor in political Science and Sociology. Is a professor of Political Science at the University of Santiago de Compostela, where he also coordinates the Master in Marketing, Consultancy and Communication, and directs the Magazine of Research Policies and Sociológicas (RIPS). 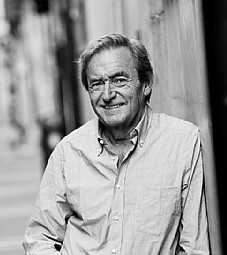 Between the years 1979 and 1989, and played an intense political activity, which led him to be vice-president and regional minister of presidency of the Xunta of Galicia, deputy in the Galician Parliament in two legislatures, and a member of the Assembly of Regional Powers and Local of the European Parliament. 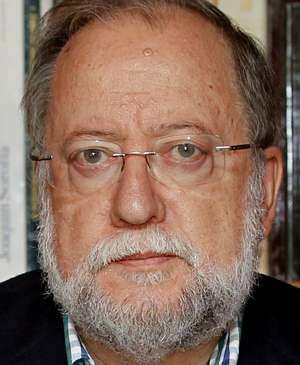 He is the author of numerous articles and books, among which include: The foundation of the West (Madrid, 2009); terra want to pobo (Vigo, 2004); Less walls and more bridges (James, 2007); As inxurrias da guerra (Vigo, 2006) and Philosophy of the human things (A Coruña, 2011). For more than two decades is a political analyst for The Voice of Galicia.